+ 44 (0) 1446 - 710113 | About us | © Copyright of WelshModels 2017. 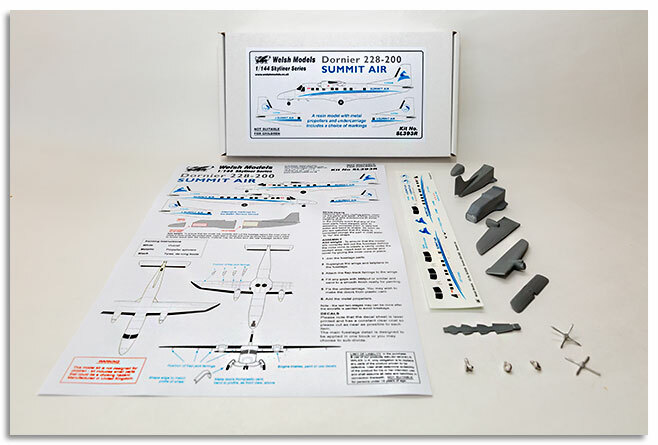 1:144th scale - SL392R - Dornier 228-200 in Summit Air livery - Resin kit with metal props and undercarriage. Decals by Cranc - Dual tail liveries.